I've been homeschooling my kids since the very beginning, and I actually enjoyed teaching phonics. (Well, most days anyway.) I don't think there is one right way to homeschool, and I know not all kids learn the same way. However, I am a firm believer in teaching children how to read phonetically. Being able to sound out words empowers kids to soar on their journey to becoming fluent readers. All three of my own children were reading very well by the time they started second grade. My oldest son even read his first real novel in first grade. 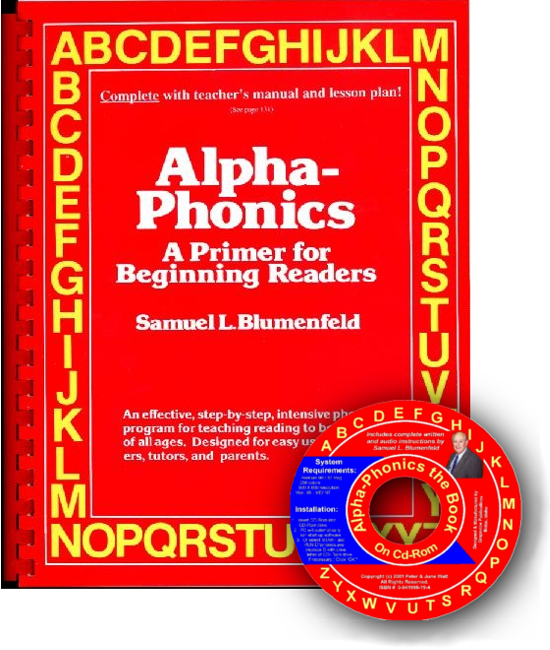 I've used several different products to teach my children how to read, but today I wanted to let you know about a program called Alpha-Phonics which teaches children to read by using only 44 phonograms. Children learn to read by sounding out words, and in 128 lessons your child will be introduced to 3,500 words! I personally have not used this program, but I have read several testimonies that claim this time-tested program is simple and effective. The website features several videos explaining how this program works, information about the company itself, plus so much more. You can also find Alpha-Phonics on Amazon. Disclaimer: I wrote this post in exchange for a link on the Alpha-Phonics blog and website.